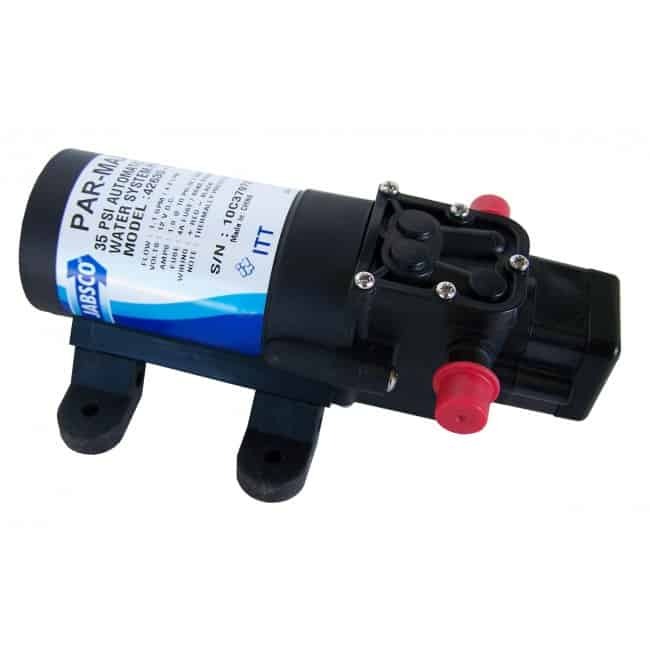 The JABSCO Par Max 1 series pumps are extremely reliable miniature multi-outlet water pressure pumps. This 42630-2900 Model will automatically turn on when a fixture is opened and turn off when all fixtures are closed. Motor: Permanent Magnet, Thermally Protected, Intermittent Duty. 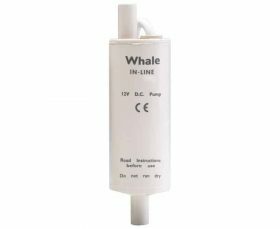 Pump: Two chamber opposed double diaphragm design; Self-priming up to 4 ft. suction lift; Pump able to run dry without damage; Intermittent duty. Port: Pump housing inlet and outlet are 3/8″ hose barb. 1. 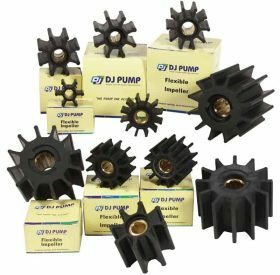 Remove shipping caps from pump ports. Some water from factory testing may spill out. 2. 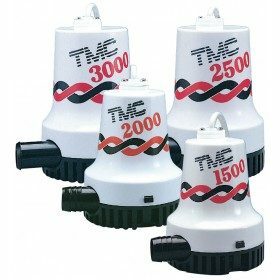 Mount pump vertically, with pump head down or horizontally in an accessible location. Do not compress feet with mounting screws. 3. Use 3/8″ I.D. flexible hose (preferably braided or reinforced). Use hose clamps on the slip-on hose barb connectors. 4. 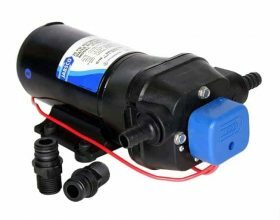 Install a Jabsco inlet 40 mesh strainer in an accessible location (for inspection and cleaning) between the tank and pump inlet. This strainer or equivalent is required for pump warranty to be valid. In an easily accessible location, install a switch to control electricity to the pump. 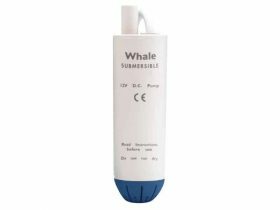 Turn the pump off when not in use for extended periods, when traveling or when tank is out of water. A 4 amp fuse should be installed in the positive lead with the pump being its only load. Wire size based on total wire length, both positive and negative leads. Price does not include shipping. Product can be shipped via Toll / Australia post bags with retail box. Product can also be collected or couriered. We are happy to provide shipping / freight quotes.